Do your sports shoes let you down when you’re playing games indoors or running a HIIT circuit in the gym? Or are your heels less than safe because the soles are as smooth a glass? Using the best non slip traction spray, grip pads and traction mats for shoes can help keep you steady on your feet. Let’s look at some solutions for these problems in the form of anti slip spray and grips for the soles of heels. Court grabbers is an on-court cleansing gel delivery system. A base pad attaches to your laces and a gel pad is charged and put in place before use. To clean your shoes and stop slippage, just wipe the soles over the court grabber. Court Grabbers "On-Court Traction System- The Most Effective Way to GET The Best Traction in Basketball, Volleyball, Racquetball & All Indoor Court Sports Black Shell/Black Cloth. STOP SLIPPING ON THE COURT! Get the best traction ever where you need it - on the court, during practice & games, even while you are moving. DURABLE! Court Grabbers are made from very durable materials & should last an entire season or more. This is an environmentally friendly, non-toxic spray which is designed to remove debris and dirt from the base of rubber soled shoes. It’s a bio-friendly, slip resistant spray that softens the rubber as it cleans, helping it retain traction. It comes in a twin pack of 4 fluid ounce bottles. Continual use of Performance Grip Basketball will enhance the gripping performance and extend the life of all kinds of sports shoes. This sticky pad removes dust and dirt from the soles of your shoes when you step on and then off it. This leaves them with more traction on slick game courts. The pad can be cleaned to remove grime and is reusable. PATENTED - Our NEWEST Technology that is Super Sticky - Step on and Step Off as our Traction Pad Removes Dirt, Dust, and Oil from Shoes. Cleans your Shoes Allowing Better Traction. Patented. WHITE PAD SHOWS DIRT: Our Sticky Pad Squeezes into Grooves of shoes to Clean Even more Dirt than Any Other Traction System Today. We Also Sell Traction Boards that Use Peel Away Sticky Sheets if you Don't Want to Clean Your Board After Each Game. RENEW STICKINESS OF PAD: Please Expect to Clean After Each Game and Practice. Simply Rinse Under Warm and a Scrub (use steel wool even) after Every Game or Practice. Sticks like New Again. Dries in minutes. Many coaches use a Spray Bottle to Rinse Clean. For Extra Stickiness and to Remove Oil, wipe down with Rubbing Alcohol and use Abrasive Scour Pad.. 15"x18" Pad. RISK FREE PURCHASE FROM REGISTERED BRAND ON AMAZON - StepNGrip is a registered brand on Amazon; We are the hardworking Michigan based company that always considers customer satisfaction as its top priority. If for any reason you are not satisfied with the product, just let us know why and we will offer you full refund or a replacement for a free. 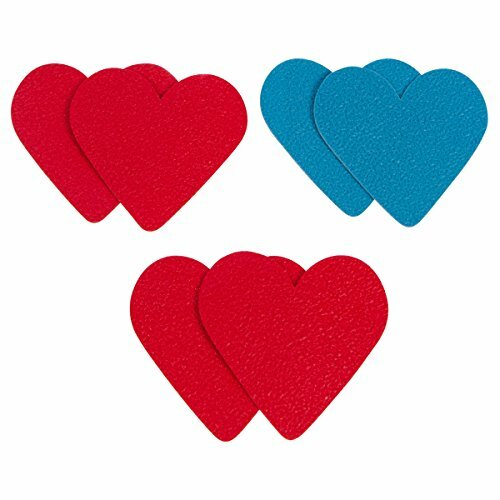 Heart Brakers are anti-slip, heart-shaped pads which come in two colors, red and blue. They are self-adhesive, making it quick and easy to fit them to your heels, boots, or any other shoes. You get three sets in this package. 3 PAIR PACKAGE-That is a winning offer. Get the opportunity to place the best anti-slip pads on 3 pairs of shoes instead of one and feel safe while looking stylish all-day long! BEAUTIFULLY DESIGNED-Heart shaped blue and red anti-skid protectors will be yours after this purchase. Match perfectly with Christian Louboutin red soles or use them as a special touch for your wedding day. Makes a cute addition to your Valentines Day too! TOP LEVEL QUALITY-All the products you will get are exceptionally made of the highest quality materials that will ensure you are protected even after many years! EASY TO PLACE-Every pair of your stylish grips comes equipped with self-adhesive. Just make sure the soles of your shoes are clean before placing them on. HIGHLY COMPATIBLE-We have designed these pads making sure they will fit almost any kind of shoes including kid shoes! Place them on all your heels, boots or flats with no problem and never slip again! Suitable for any shoes for both women and men, these adhesive pads come in a pack of 16. Made from rubber, they are a peel and stick anti slip option for the soles of your shoes. They measure approximately 3.5 inches by 2.6 inches and can be trimmed to fit. There’s nothing worse than playing basketball or volleyball and finding your favorite sneakers no longer grip the floor. Taking a fall to the floor can be embarrassing at least and injure you at worst. Not the sporty type? 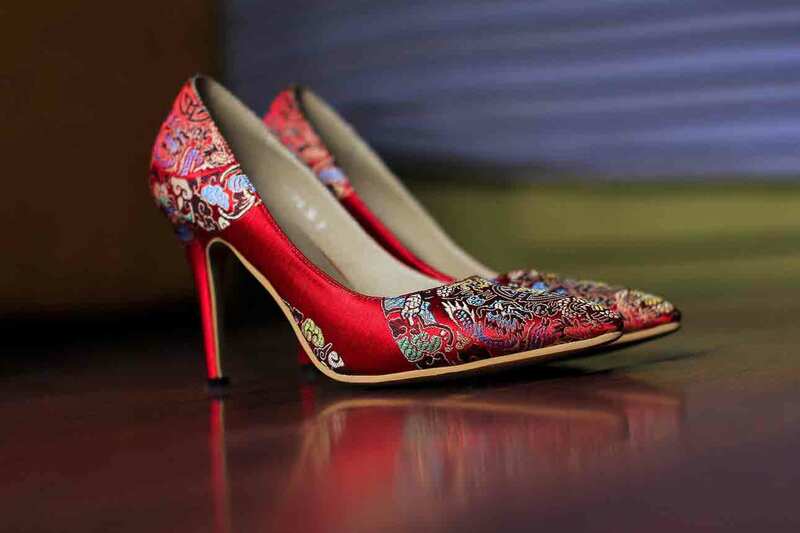 How about those vertiginous heels in your wardrobe that could make you afraid of heights? Are their soles slicker than you would really like? Here are our top five picks of some of the best products to help keep you upright on slippery surfaces. 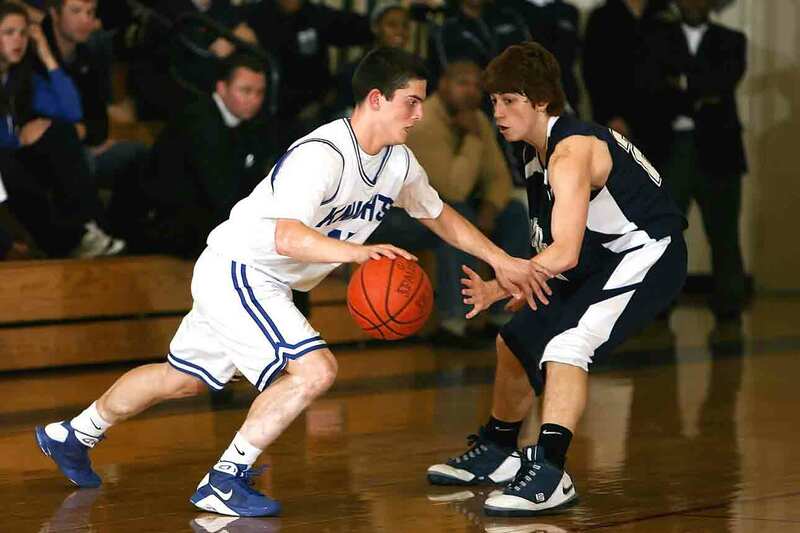 Court Grabbers were the inspiration of Seth McGloughlin and his son who were looking for a solution to slippery shoes on the basketball court. Rather than licking your hand and wiping your soles or wiping them on wet towels, they wanted an on-court option. These small appliances attach to the laces of shoes, negating the necessity to leave the court if your soles become slippery. They have a plastic base which you incorporate when lacing your shoes. This can stay in place permanently. A gel is applied to a pad which then slides and locks into the base before play. Whenever you feel your shoes starting to lose grip just wipe the sole over the pad to remove grime and carry on playing. The gel pad can be removed for washing in the machine. This video shows you how to fit Court Grabbers. Court Grabbers are approved for use on gym style floors in a number of games like basketball, volleyball, racquetball, and more. 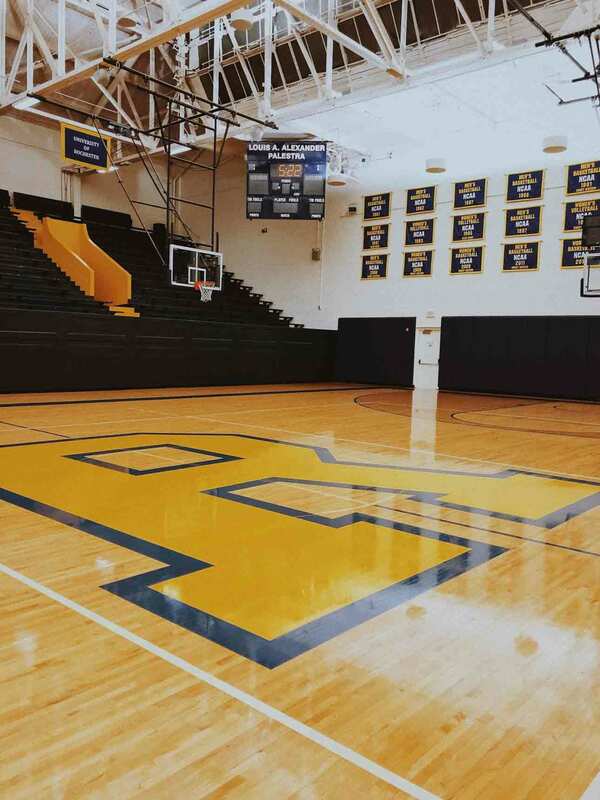 They also work on tile courts, composite courts, and plastic tile tournament courts. They are lightweight at just over half an ounce for the pair. These are designed to fit shoes from sizes 6 through to 14. The shoes also have to have exposed laces. So if your feet are small or don’t have exposed laces, this product won’t work for you. Can be used “on court”. Gel pads are removable and washable. Won’t fit shoes below a size 6. Laces must be exposed to enable fitting. Court Grabbers are designed for basketball shoe grip as well as other sports. They can be used on the court or in a gym while working out to help prevent slipping. They are lightweight but too big for shoes below a size 6. This twin pack slip resistant spray is brought to us by Athlete Performance Tools (APT). The company is based in West Michigan and they manufacture products designed to improve grip when playing golf, volleyball, or basketball. This anti slip spray for shoes is intended to help rubber soles become less slippery. Each bottle contains 4 fluid ounces and has an easy application. The non-sticky product removes dirt and debris which might cause basketball and other sports shoes to slip. It also helps rehydrate rubber soles, keeping them soft and pliable. Made in the USA, the anti-slip spray is non-allergenic, non-corrosive, and environmentally friendly. The application is quick, just spray, wipe until dry, and you’re good to go. Good basketball shoe grip spray. Might need reapplication during the course of a basketball or volleyball game. This twin pack of anti slip spray for shoes is quick and easy to use. Made in the USA, it is free from allergens and bio-friendly. It removes the dirt and debris that can cause shoes to be slippery and softens the rubber soles of sports shoes. 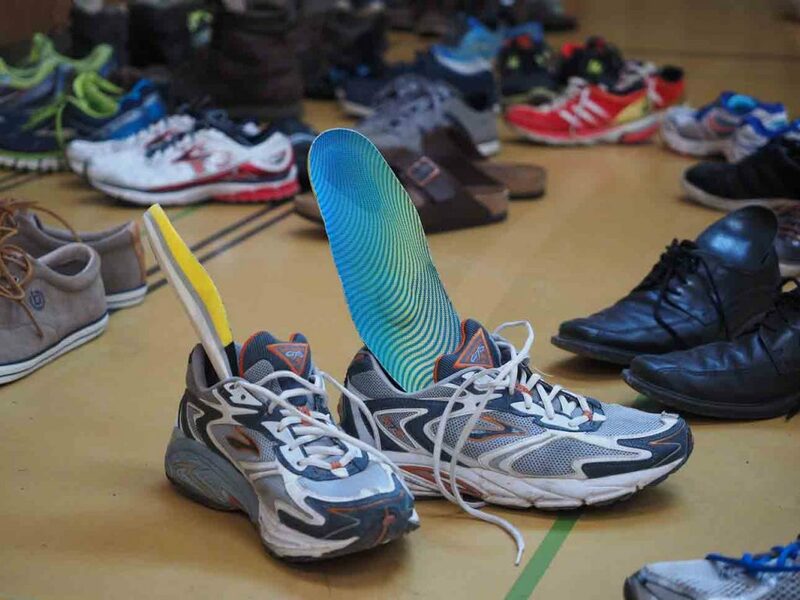 If you don’t like the idea of having something attached to your sports shoes, a traction mat could be your solution to slippery soles. This one from StepNGrip claims to be three times stickier than normal peel away gel sheets. 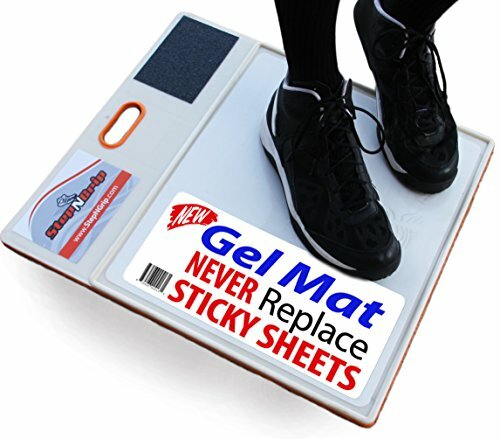 Before stepping onto the gym floor, stand on the mat allowing the gel to enter the grooves of the soles of your shoes. Step off and the dirt and debris will remain behind, leaving your shoes with more traction. This video shows you how this traction mat works. There is also an abrasive scuff pad on the board so you can remove a thin layer of old rubber which might have become slick. The pad can be cleaned after use to remove oil, dirt, and debris with water and mild soap. You can also use rubbing alcohol to restore the stickiness. The mat measures 15 inches by 18 inches and has a rubber bottom to hold it in place. It does not need to be covered to be transported and should last up to three years. The company promises to refund your money or replace the product if you are not happy with it. The only downside is that to remain effective you will need to clean it regularly. Rubber base to stop the mat slipping. Needs frequent cleaning to remain effective. StepNGrip have produced a courtside traction mat that can be used time and time again. It can be cleaned after use to restore it’s stickiness and has a scuff pad to help create a non-slip sole. Heels Above could be a girl’s best friend when it comes to protecting the soles and heels of your precious Manolos, Louboutins, or Jimmy Choos. They make products to stop heels from sinking in the grass or getting caught in drains, as well as grips to stop your soles from slipping. These Heart Brakers come in a pack of three pairs in two colors, two red and one blue. They can be used on the soles of any shoes from the highest heels to the flattest boots or sneakers. The patches are self-adhesive. Just clean the soles of your chosen shoes, peel off the protective layer, and stick them in place. The 100 percent slip-proof material is rubbery and flexible and will give you more traction on slippery floors. They aren’t just for ladies either, they can be used on the soles of kids’ or men’s slippery shoes as well. With time and wear, these grips could work loose so are not a permanent solution. They could work for a few days, a few weeks, or more. Works on the soles of any shoe. 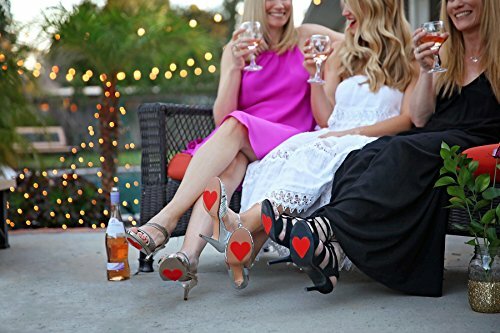 These cute hearts can be applied to the soles of any shoes to give you some traction on slippery floors. They are quick and easy to apply but might need replacing frequently. These grip pads are supplied in eight pairs (16 pieces) and are suitable for any shoes. They measure approximately 3.5 inches by 2.6 inches and are slim at just 1 mm thick. They come with full instructions for fitting to the soles of shoes to help prevent them from slipping underfoot. Essentially, you clean the soles of your shoes, peel off the protective backing, and stick the grips in place. They are made from rubber and can be trimmed to fit with scissors if necessary. The grips are unisex and can be used on men’s, women’s, and children’s shoes. They will work on heels, flats, boots, or dress shoes. These are thin which is both a positive and a negative. On the plus side, you won’t feel like you are stepping on something. However on the downside, you might find that you need to replace them as they wear down. Suitable for men’s, women’s, and children’s shoes. 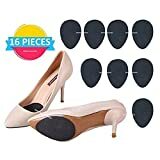 This pack of 16 shoe grips can be applied to the soles of shoes with ease. They are made from rubber and can be trimmed to size for any shoes. Playing sports in a gym on a slick wooden or tiled floor can be hazardous. No matter how clean they are, debris, dust, dirt, and things like clothing fibers can cover their surface. The result is a build-up of this film of grime on the bottom of your shoes, preventing traction. The subsequent loss of control can be disastrous. 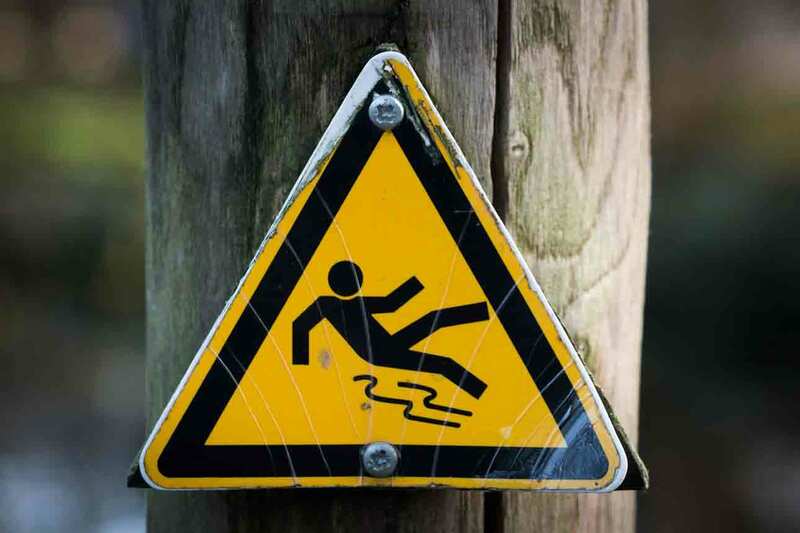 You might slip and injure yourself, collide with others or even slide into benches or walls. Removing this debris will help your shoes gain traction and ensure you manage those twists, turns, and jumps without falling or sliding. Look for products that will clean the soles of your sports shoes without leaving a sticky residue or degrading the rubber. When it comes to everyday or dress shoes, places like the mall, workplaces, restaurants, and many others can have slippery floors. Placing grips on the soles of your shoes might save you from sliding into the boardroom or slipping over and losing your dignity. Look for ones that will easily adhere to the soles of your shoes and help make them anti-slip. Rubber is a good option. There are also many more ways to make shoes non slip without a fuss. What Are the Best Soles for Slip Resistance? Rubber is a good option for the soles of shoes that you want to resist slipping. This is why many workplaces use anti slip rubber flooring for high wear areas. Can’t I Just Lick My Hand and Wipe My Soles Like I Usually Do? You can, but think of all the bacteria you could be transferring to your mouth when you do this. Using anti slip spray for shoes or a traction mat is a much more hygienic option. Can I Use Grip Pads on the Heels as Well as the Soles of My Shoes? Yes, you can. Many grips for the base of shoes, while shaped for the soles can be trimmed to fit. You could cut these and attach them to the heels of your shoes for added traction. 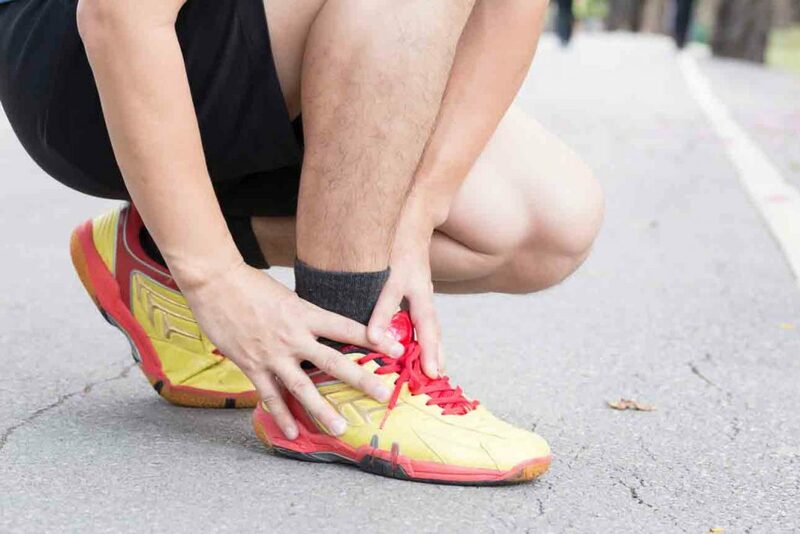 Keeping the bottom of your sports shoes clean or putting grips on the soles of your heels can help prevent falls and slips. Depending on what you want them for, sneakers, dress shoes, or heels, any of the products we have chosen will help. Our favorite is Court Grabbers “On-Court Traction System. Once attached, it can be used as often as you like during your basketball game, Jazzercise class, or any other gym-based sport. The gel pad can be recharged and is washable. 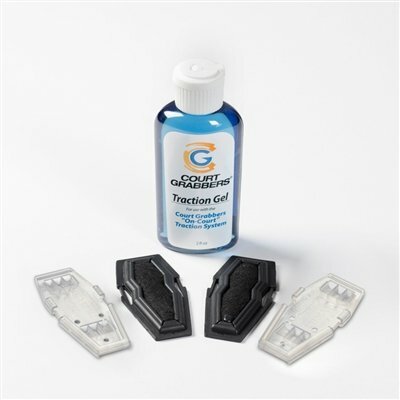 We hope you enjoyed our guide to the best non slip traction spray and grip pads for shoes. We would love to hear from you, please leave us a comment and don’t forget to share.